The prevalence of arthritis is on the rise leaving behind over 50 millions Americans to suffer. It is the number one cause of disability in the country, affecting 1 in every 5 adults and nearly 300,000 children. Arthritis is all around us, yet it remains to be a very misunderstood health problem. In fact, it’s not considered to be a single disease, but an informal indication of joint pain or joint disease. There are more than 100 different types of arthritis but the two most common types are rheumatoid arthritis and osteoarthritis. The first steps to help manage arthritis is learning the facts and understanding your condition. 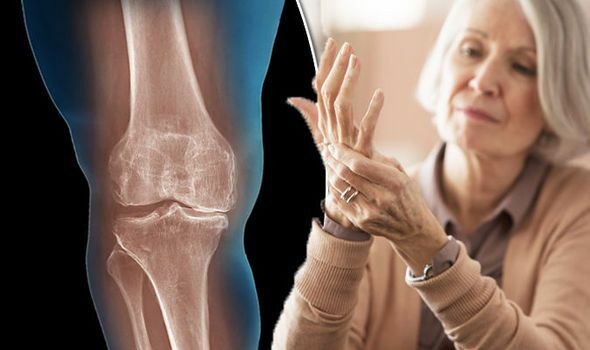 Osteoarthritis is responsible for affecting an estimated 27 million Americans in comparison to 1.3 million Americans who have rheumatoid arthritis. Despite the fact that the two are both held accountable for joint pain, the two are completely separate conditions with different causes and diagnoses. To better explain, the nature of the disease is what distinguishes the two apart. Rheumatoid arthritis is an autoimmune disorder that produces inflammatory joint symptoms to occur throughout your body. Osteoarthritis is a degenerative condition that is the result of increased wear and tear on your joints. So, are you wondering if there is anything you can do about this? As a matter of fact, there are a few things you can do to help treat and manage symptoms. Let’s take a look below. Rheumatoid arthritis is a complex autoimmune disease that is triggered due to a malfunction in your immune system that causes specific cells to mistakenly attack your body’s own healthy tissue. Common symptoms include: joint pain, morning stiffness, fatigue, muscle aches, redness, tenderness, and heat felt near inflamed joints. Often times, patients will mistake rheumatoid arthritis symptoms with osteoarthritis symptoms. This confusion comes to mind usually during the first signs of arthritic symptoms. Osteoarthritis is a result of inflammation, overuse of joints, or wear-and-tear damage related with aging. It typically does not cause extended morning stiffness or symptoms such as fatigue, appetite change and frequent infections. Symptoms and complications for arthritis vary between each patient so it’s important to learn and practice healthy lifestyle choices. Self-management can help lower severity of your symptoms and slow progression of the disease. Getting enough rest and limiting stress is essential when your disease is active and your joints feel painful, swollen, or stiff. In other words, practice good sleep habits to allow your joints to heal and prevent arthritis pain and fatigue from worsening. Practicing relaxation techniques such as yoga or stretching have been proven to help protect you from painful episodes. This is because these activities help your muscles relax, strengthen your immune system and balance hormones. It’s important to understand your body’s signals in order to recognize when you should slow down and take a break. Practicing healthy lifestyle choices and self-management can help reduce becoming anxious, overexerted and exhausted. Although you may feel reluctant towards exercising, it’s been proven to be helpful for controlling arthritis and boosting your overall health. Not to mention it can also strengthen muscles that support your painful joints, maintain and increase joint range of motion, improve sleep quality, and enhance your mood and sense of well-being. Patients with osteoarthritis tend to have joint pain accompanied by movement restriction, but many have reported to feel better overall and experience less symptoms when they stay active. In fact, exercise has been found to be one of the most important treatments for osteoarthritis. Those with rheumatoid arthritis should concentrate on low-impact activities or exercises such as yoga, walking, or water aerobics. Rheumatoid arthritis can create flare-ups of pain along with restricted motion but staying active is crucial in order to control symptoms as well as manage joint inflammation. Extra rest is beneficial when symptoms progressively worsen; however, stretching can often help manage inflammation. Experiencing arthritis and the symptoms it brings can really diminish our overall quality of life. Often times, doctors will prescribe anti-inflammatory medication or even surgery to temporarily relieve the pain if the situation does not improve. The good news is that there are non-drug pain relief alternatives available that have been found to be very effective. The goal of physical therapy is to focus on improving your body’s mobility and the use of affected joints, as well as increasing strength to support your joints. By using a blend of Osteopathic based techniques along with Physical Therapy, I work with my hands to help maximize mobility, develop or restore function, alleviate pain, and promote overall health and wellness. This unique, personalized approach to Physical Therapy has been developed for over twenty years by Dr. Steve Kravitz of Steve Kravitz Physical Therapy. To learn more about how our treatments can help you, contact us or read more on our blog.